Muscle Sport Whey Isolate source of highly concentrated whey protein (WPI). Proteins functions as a high-quality muscle mass and improved regeneration of the muscle fibers. Proteins are ideal for intensive training muscles nutrition to increase their volume. Proteins functions as a high-quality muscle mass and improved regeneration of the muscle fibers. Proteins are ideal for intensive training muscles nutrition to increase their capacity, improve performance and shorten recovery times. Muscle Sports Whey Isolate source of highly concentrated whey protein (WPI). High protein content, the minimum content of residual carbohydrates and fat gives the highest possible usefulness of the protein preparation for the growth and regeneration of muscle mass. Whey protein isolate (WPI) belongs to a group of rapidly absorbable protein with maximum efficiency. Characteristically a very good representation of necessary amino acids. A single dose was prepared as an instant beverage. 50 g of powder was stirred in 250 ml of cold water. It is recommended to be taken daily for 3 to 4 doses, depending on the body weight. 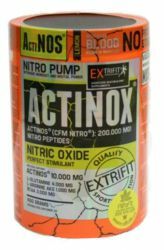 Extrifit Actinox actually lets you in practice always a few reps on! Product intended for all who want to maximize the increase in muscle volume. Sports warm gel activates muscles before a hard workout. Proper heating of muscles can prevent sports injuries, etc. 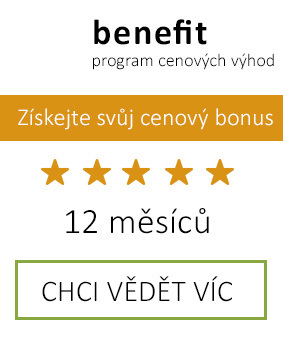 zhmožděninám. 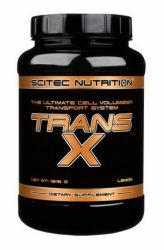 Scitec TRANS-X contains all the nutrients for volume cells and regenerate ATP combined transport system in the third generation. 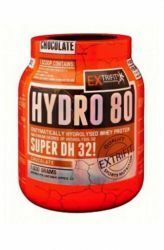 This is the best anabolic supplement for the rapid increase in strength and muscle volume.